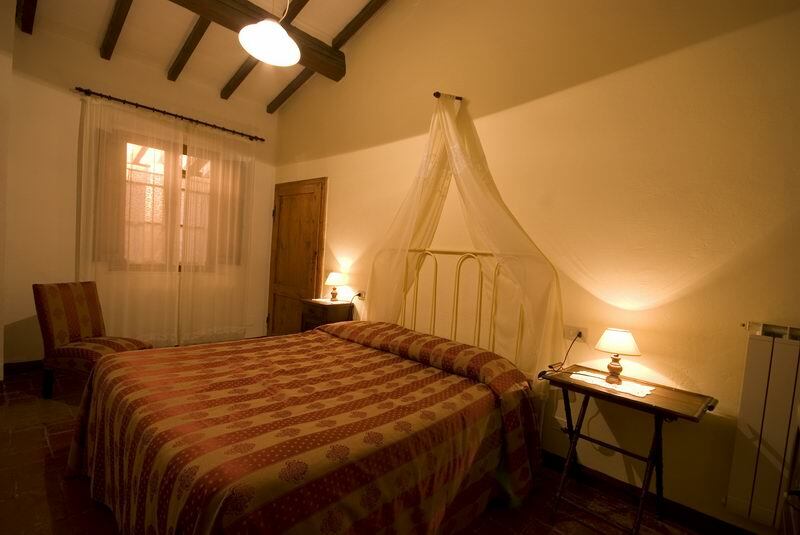 The village has been renovated and preserves all the charm of the typical architctural structures of that period. 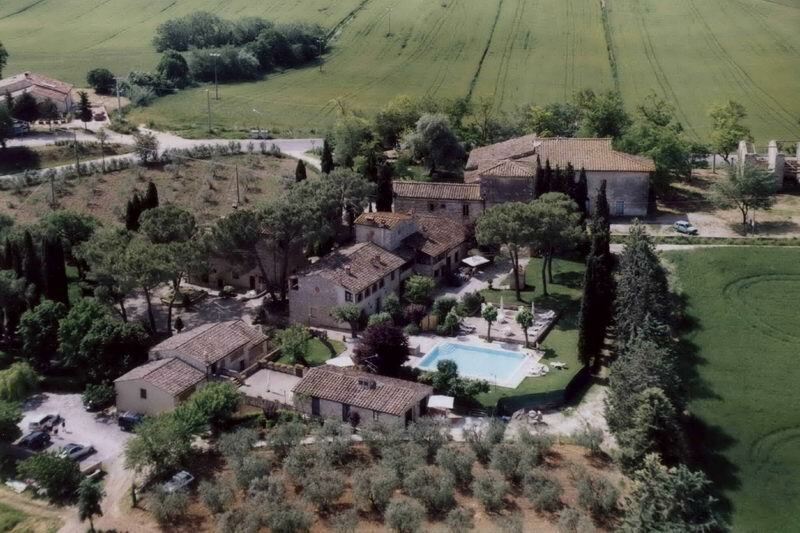 The park spreads among the famhouse units and includes a nice swimming pool (10 x 10 m), and a green lawn shaded by mulberry-trees, pines, oaks and cypresses. Hospitality in various apartments of different sizes offered. Ap. nr. 1501 - “Loggiatino 1”, 36 mq (2+2 people) - First floor. Double bedroom, living room with cooking corner and sofa bed for 2 people, bathroom. Ap. nr. 1502 - “Belvedere”, 63 mq (4+2 people) – First floor. Two double bedroom, living room with coling corner and sofa bed for 2 people, bathroom. Ap. nr. 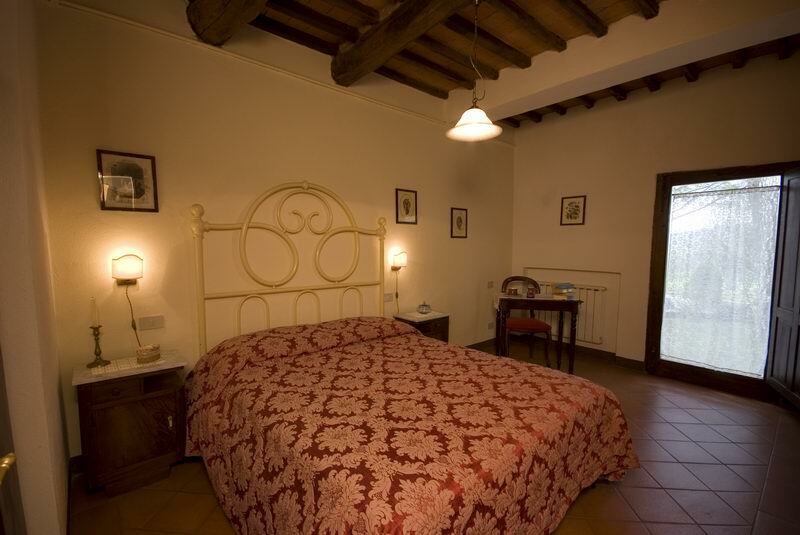 1503 - “Olivi”, 54 mq (4+2 people) – Ground floor. Two double bedroom, living room with cooking corner and sofa bed for 2 people, bathroom. Ap. 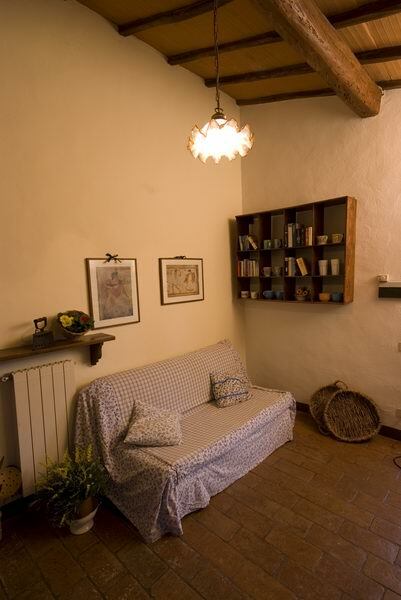 nr 1504 - “Fienile”, 93 mq (6+2 people) – Ground floor. Three double bedroom, living room with cooking corner and sofa bed for 2 people, 2 bathroom. Ap. nr. 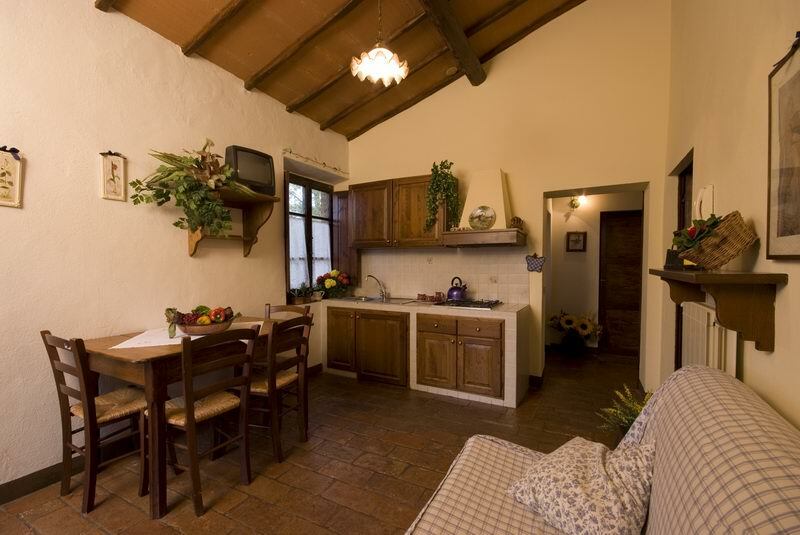 1505 - “Granaio”, 75 mq (6+2 people) – Ground floor. Three double bedroom, living room with cooking corner and sofa bed for 2 people, 2 bathroom. Ap. nr. 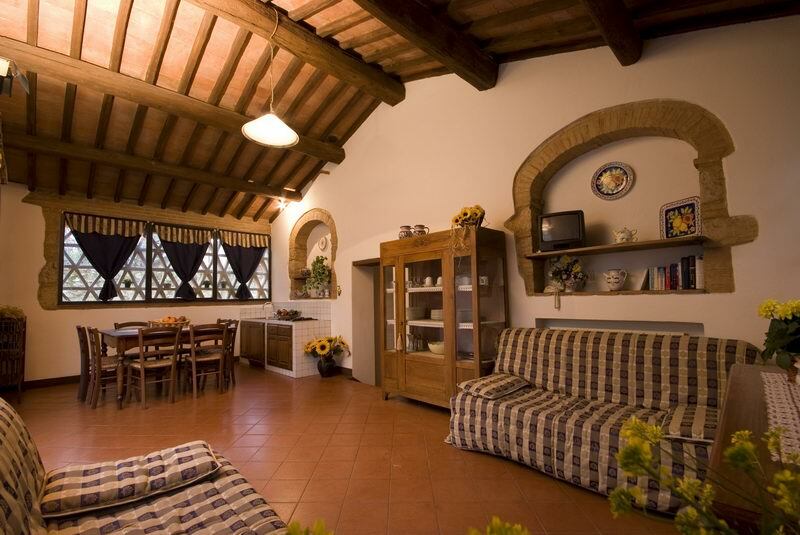 1506 - “Pergola”, 46 mq (4+2 people) – Ground floor. Two double bedroom, kiving room with cooking corner and sofa bed for 2 people, 2 bathroom. Ap. nr. 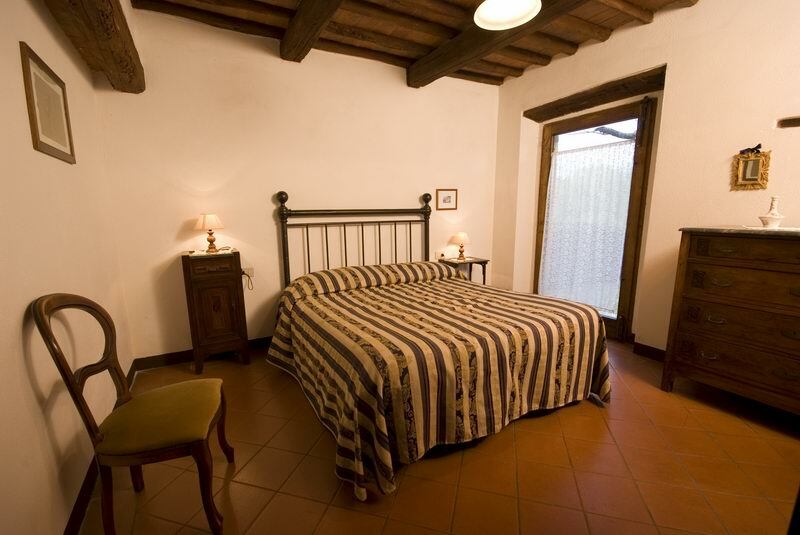 1507 - “Torrino”, 67 mq (4+2 people) – On two floors. Triple room, single room on the way to the bathroom,l living room with cooking area and sofa bed for two. Ap. nr. 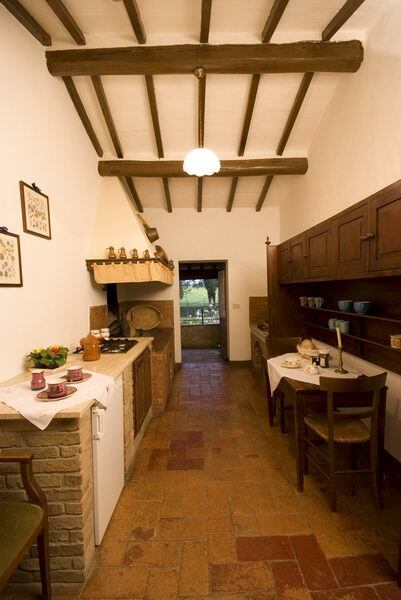 1508 - “Caminetto”, 34 mq (2 people) - First floor. Double room, living room with cooking area, bathroom. Ap. nr. 1509 - “Stalla”, 40 qm (2+2 people) - Ground floor. Double room, living room with cooking area and sofa bed for two, bathroom. Ap. nr. 1510 - “Archi”, 65 qm (4+2 people) – First floor. Two double rooms, living room with cooking area and sofa bed for two, bathroom. Ap. nr. 1511 - “Loggiatino 2” , 37 mq (2+2 people) - First floor. Shared entrance with 1510.Double room, living room with cooking area and sofa bed for two, bathroom. Ap. nr. 1512 - “Soppalco”, 75 mq (4+2 people) - On two floors. Two double rooms, living room wiht cooking area and sofa bed for two, bathroom. Exit from the Firenze-Siena motorway at Colle Val d'Elsa Sud. Follow for Colle Val d'Elsa and follow to the direction Grosseto-Follonica. After about 4 km you arrive at Gracciano Val d'Elsa, cross the village and then you arrive at Ponte di Santa Giulia. Cross the bridge and after about 50 meters turn right, taking a small road clinbing towards Santinovo. 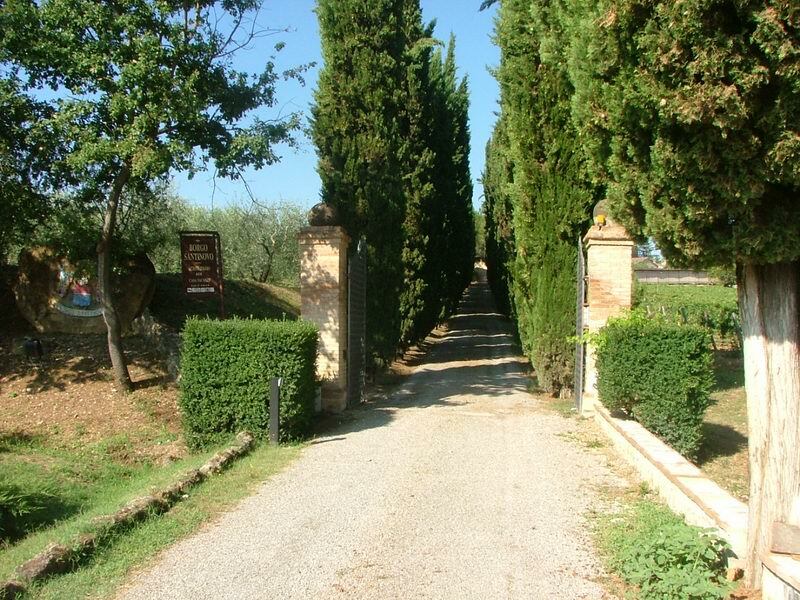 Follow for 3 km until you see on the right a iron gate with the sign of the farm. Take the cipress avenue.